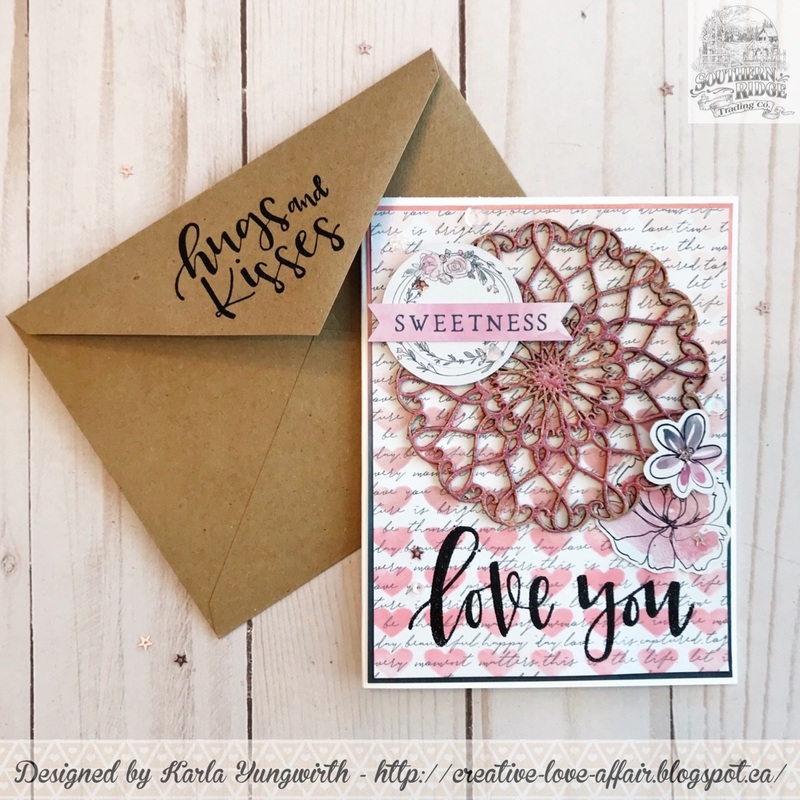 Karla Yungwirth Designs: Southern Ridge Trading Company - Valentine Card with Video! Southern Ridge Trading Company - Valentine Card with Video! Hello friends! I hope you're week is starting out awesome! With Valentines approaching in the next month I've been having fun creating some pretty cards and today I'm sharing a card from the Southern Ridge Trading Company blog using their beautiful Heart-O-Graph Doily Chipboard and the 6x6 Heart Stencil. There is really anything you could imagine in the SRTC Shop! Here's what the inside looks like and how pretty the envelope turned out stenciled with Distress Inks and the SR Heart Stencil. You can see just how I put this pretty card together in this VIDEO here! So beautiful & Elegant!! Love it!